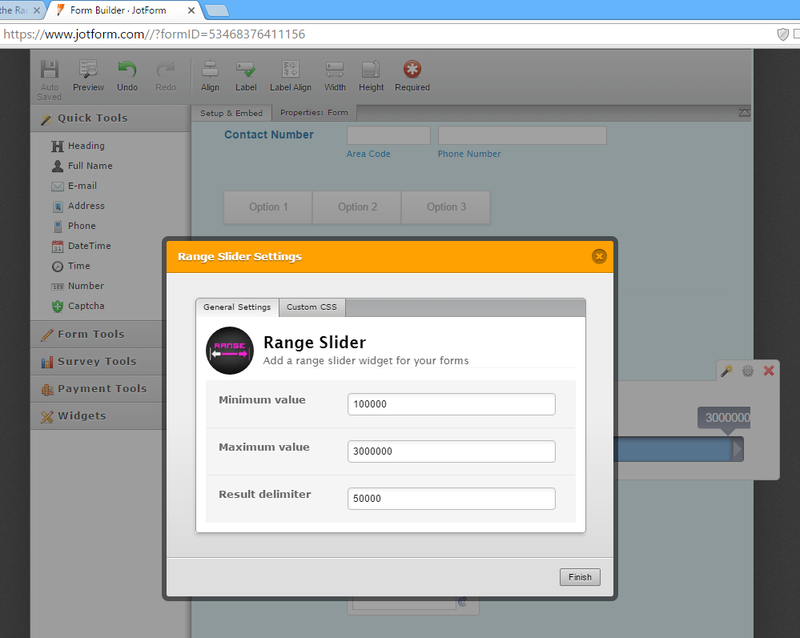 I add to range slider to my form, big one witch is called range Slider blue color does not working properly, slider from $100k to $3000K, Result delimiter I put $50K, but its sliding for $1, next to it widget work correctly, but I dont like the style, is it possible to fixed it? 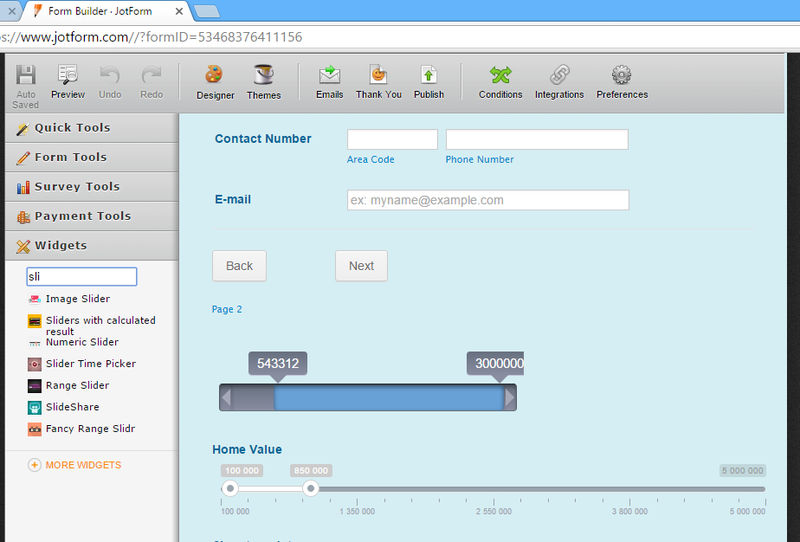 I test your jotform http://www.jotform.us/form/53468376411156 Range Slider widget. It is currenlty working as designed. Can you please describe more what you wanted to change or fixed? We can provide you with the appropriate response and suggestions once we understand more what you wanted to do. 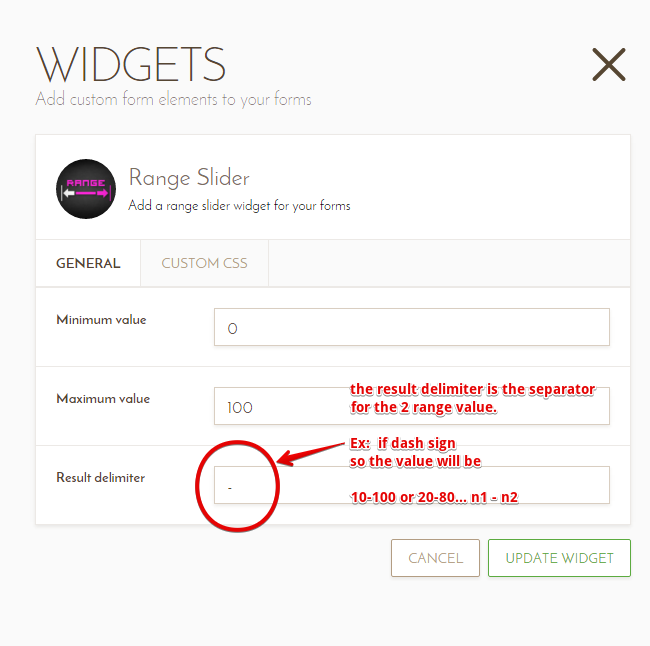 They are 2 different kind of Range slider widget..
Can you confirm that you want the Fancy Slider Widget on the form to look similar to the Range slider widget? We will wait for you updated response. Did you see number is sliding by $1 only, can you make this slider start with $100,000.00 when its slide it will going to $150,000.00, next $200,000.00 and so on. The "Delimiter" parameter in Range Slider is not the "Stepping" count for the range like how it was for the Fancy Slider widget. If you test submit my test form https://form.jotform.com/53478110655961? you will see the result in the Thank you page. so the Range slider function will not work for your requirement. You may use instead the Fancy Slider widget. 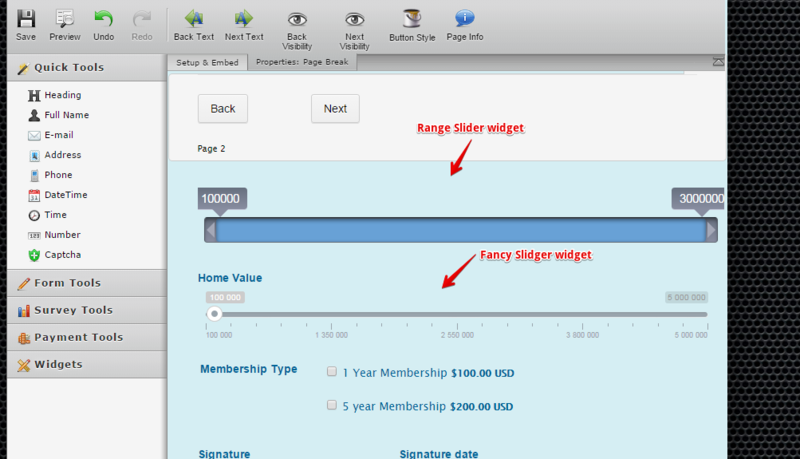 The Fancy slider widget can be styled using its Custom CSS as well. This should be possible using a custom CSS code to redesign the Facy Slider widget, I'll try to come up with a working one and will let you know as soon as possible if it is working. I see that what you wanted is to have the Range Slider widget to have an option to set the stepping value. Currently, it does not have an option for that. But I have forwarded it to our widget team as a feature request, unfortunately, I'm unable to guarantee its implementation, but rest assure that they are already aware of this request. We will update you as soon as this option or feature has been released. For the Fancy Range Slidr widget, I opened a separate thread so that we can discuss it better. Please refer to this link instead: http://www.jotform.com/answers/725354. We will address it shortly.